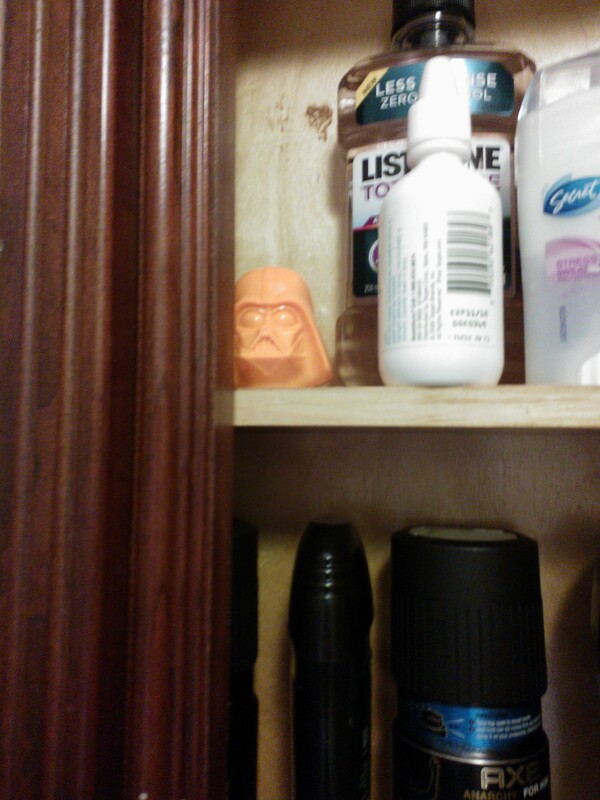 The Easter Bunny came to my house last night, and he left a bunch of…Darth Vaders? We bought these Vader-shaped Easter eggs at Target (they have jelly beans in them). My husband hid them so well I still haven’t found them all! Happy Easter to all. After Mass my family had a “traditional” dinner with ham and all that. I made an angel food cake with strawberries for dessert (using this recipe). It was super easy with my beautiful new stand mixer! Angel food cakes are fun because you start by whipping a bunch of egg whites. It’s so cool to see a cup of liquidy egg slime eventually fill up a whole bowl with fluff. Yay science! Folding the flour/sugar into the meringue. Wearing my cat apron.